I forgot to bring the auger extension on my March Break solo trip. I almost regretted it! I barely was able to cut through the ice. This photo shows a standard Mora/Normark auger at max just as it cut through the bottom of the ice. Only about half that is blue ice on the bottom. The rest is white ice which is various layers of the slush sandwich. Next time in March I will attach the extension before leaving home! And yes there was fish involved. 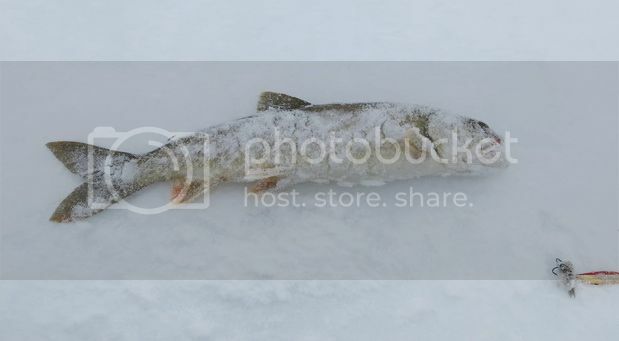 Caught this nice little eater lake trout, and a couple others! Re: Auger'd out – almost! That is a lot of ice Hoop. Solo for a week...sweet. I'll be completing my first solo trip next year for sure as my son has gotten older and has discovered the girls. I was just thinking about that today . 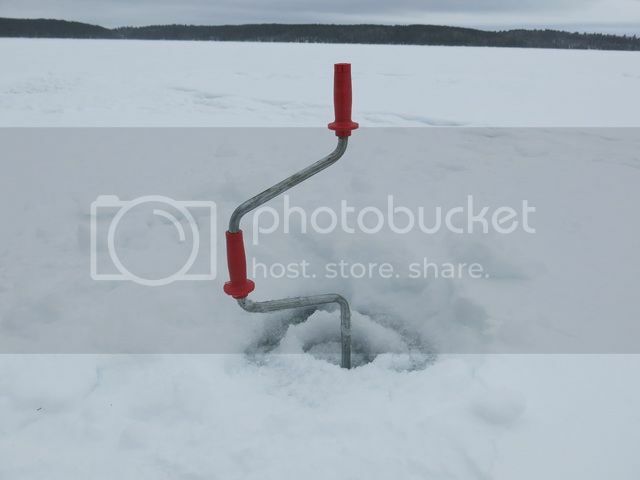 I went fishing 2 weeks ago and was almost out .Got the same auger. If short a few inch I can use the axe, the lake I go is dry on top. It is a lake full of small trout so I only bring a 5 inches auger.